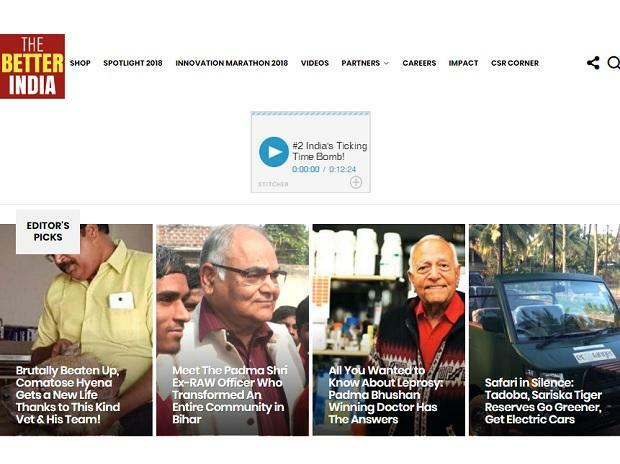 Online media platform The Better India, which publishes positive stories related to social development, travel, environment and women empowerment among others, has raised around Rs 25 crore ($3.5 million) in Series A round. The Elevar Equity-led investment round also saw the participation from TPG Rise (The Rise Fund). With this investment, The Better India aims to launch a curated marketplace that will benefit micro, small and medium enterprises, self-help groups and NGOs who make great products but lack access to consumer markets. The Better India was founded by Dhimant Parekh and Anuradha Kedia, husband-wife duo and graduates from the Indian School of Business, as an online blog in 2008. The platform throws the spotlight on c, angemakers, solutions and innovations across the country. The funding will help the platform in its next foray into what the company terms ‘responsible shopping’ that involves leveraging its community to help generate economic activity for small enterprises. “There are millions of small enterprises who make great products but do not get regular or predictable income and growth. We aim to solve for them,” said Parekh. Sandeep Farias from Elevar Equity said the fund invested in The Better India because of the founding team’s demonstrated commitment to aggressively grow their content business - by helping their 50 million readers engage with a variety of MSMEs, SHGs, and NGOs across the country.